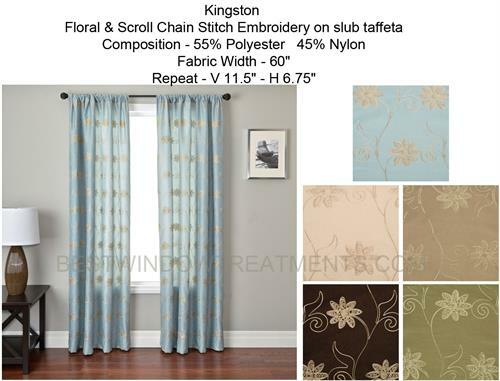 Limited Re-Release Fabric available while supplies last! 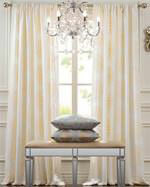 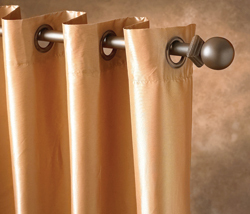 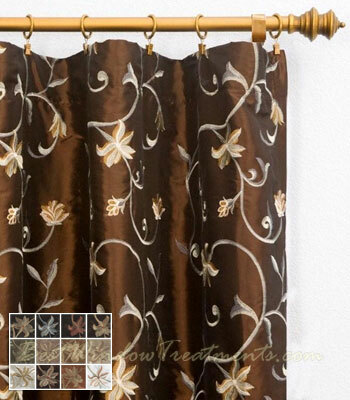 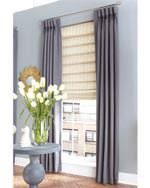 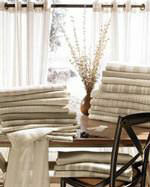 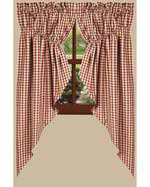 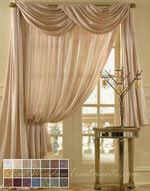 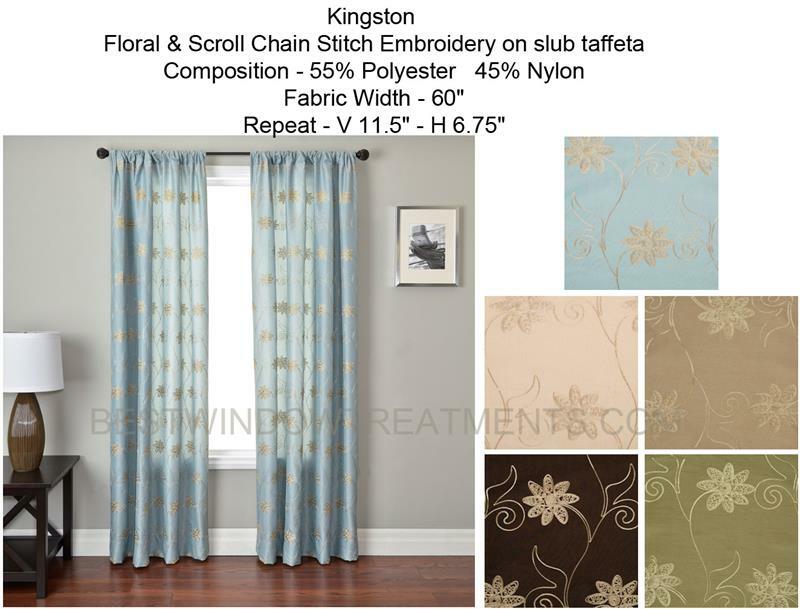 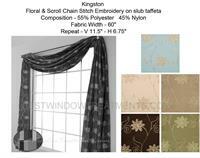 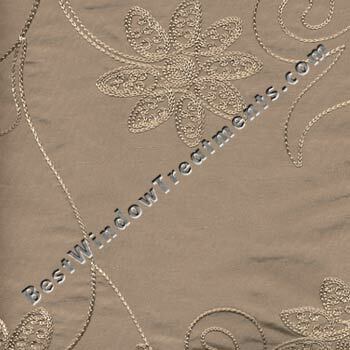 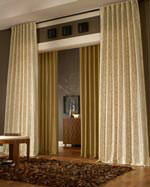 Kingston Curtain Panel is available in 11 colors. 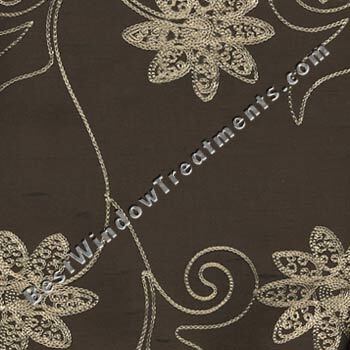 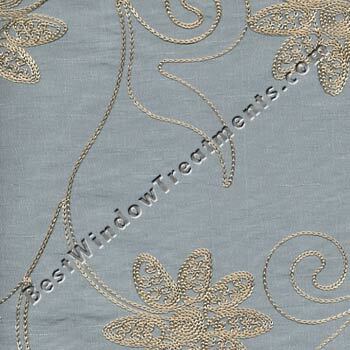 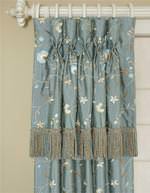 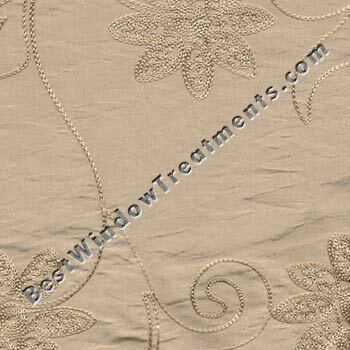 These are light weight faux silk panels. 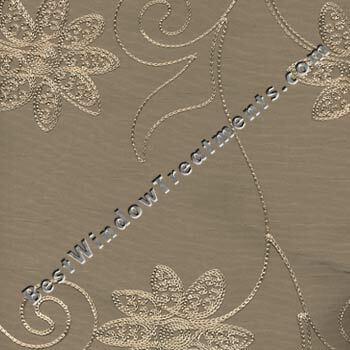 Delicate flowers scroll across the curtain in a gold chain stitch embroidery that will be sure to add a touch of whimsy to your decor. 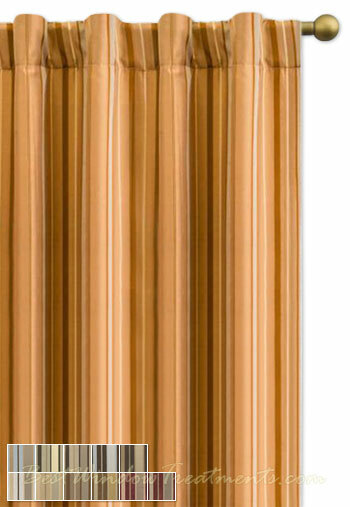 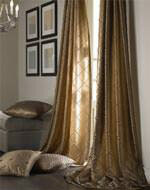 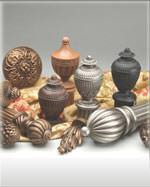 Colors: Champagne, Biscuit, Antique Gold, Brushed Gold, Copper, Chocolate, Merlot, Terra Cotta, Blue and Black.